Past editions of the Week That Was can be found here. Questions, comments, or a tip? Please call us at 844-LETSRUN (538-7786), email us, or post on our forum. If you missed our NCAA XC top 10 countdown, catch up now as we’ve got some good insight from many of the top coaches in the land. At the Buenos Aires Marathon over the weekend, the winning performance by Kenyan Emmanuel Kipkemboi Saina, who was scheduled to simply be the rabbit until a few weeks ago, was remarkable. Saina, who came in with limited results as a professional (14:11 5000 at altitude and a 62:03 half), left with an incredible 2:05:21 win, which was a new South American all-comers record in a big way. Before Sunday, no one had ever broken 2:08 in South America as the all-comers record was Eliud Kipchoge‘s 2:08:44 from the Rio Olympics. Saina wasn’t the only man to impress as the top four men in the field PR’d. We know what some of you are thinking. 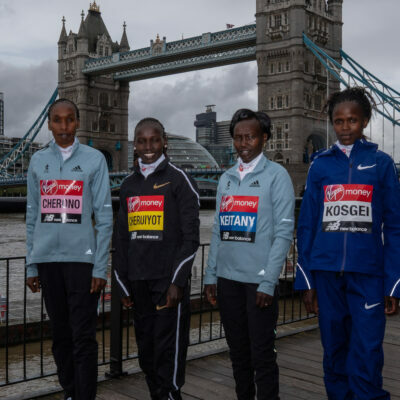 “Drugs.” And that’s certainly a possibility — the fact that Kiptum is from Kenya and represented by the Rosas, who have represented many of the prominent EPO-positive Kenyans in recent years (Asbel Kiprop, Jemima Sumgong, Rita Jeptoo) certainly doesn’t alleviate those concerns. But drugs are unlikely to explain a slew of PBs from multiple training groups. So was the course short? 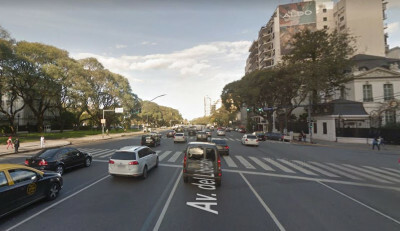 Well one wouldn’t think so, as the Buenos Aires Marathon is an established race, the largest marathon in South America, and one with IAAF Bronze Label certification. The course runs past historic locations like the Casa Rosada (president’s mansion/office), the Obelisk of Buenos Aires, and the planetarium. But it’s certainly possible the course could be short as the race organizers have been making slight changes to the course nearly every year, including this year, when it featured a new, flat AIMS-certified course. And if you look at the leading men’s splits, something jumps out at you immediately. Here are the 5km splits for the top four men. For everyone in the top four, the sixth 5k segment was way faster than their first five 5k segments. 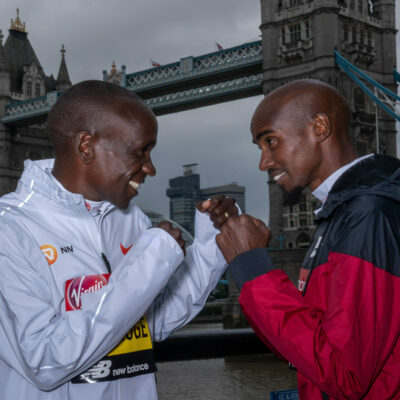 For Saina, it was 38.2 seconds faster than any previous 5k segment, for Kiptum it was 33 seconds faster, for Pacheco, it was 14.6 seconds faster, and for Ayala, it was 32.6 faster. And the super fast running continued for all of them for the next 5k between 30k and 35k as well, save for Kiptum, who was fading to a 2:09:19 after a 62:56 first half. So does that mean the course was short? Not necessarily, although we’ll admit that was the first thing we thought when we noticed those splits. However, we then checked the weather to see if a tailwind could explain the super fast 10k between 25k and 35k. 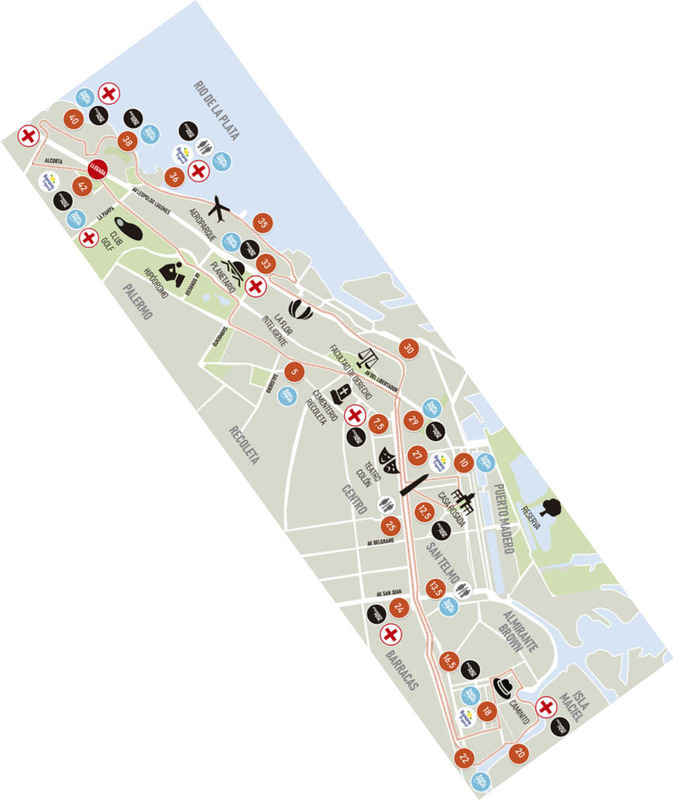 Take a look at the Buenos Aires course map (we rotated the map found on the race website so that north is directly vertical) and take a look at what direction everyone was running from 25k to 35k. 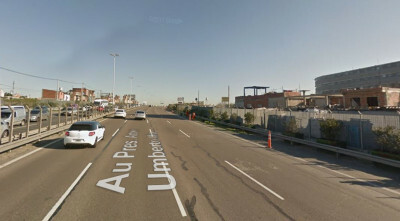 Overall, between 25k and 35k, the runners moved from southeast to northwest, and sure enough, there was a big wind 13-14 mph out of the ESE during the race in Buenos Aires (temps were 64-68 F during the race, which started at 7 a.m.). On a loop course like Buenos Aires, a steady wind doesn’t normally help you as you have to run into the wind at some point. But in Buenos Aires on Sunday, we could see how one could argue the course was a bit “wind-aided.” When the runners were running back towards the finish, particularly between 30k and 35k, they were doing so near the water, where the wind might have had a bigger impact than when they were running out in the first half as there are no buildings to potentially block it between 30k and 35k. Here are two screenshots of the race course. The first shows what it was like on the course between 30k and 35k, when the tailwind could have been unblocked. The second screenshot shows what the course looked like near 5k, when the headwind could have been partially blocked. Likely the race was a bit wind-aided. 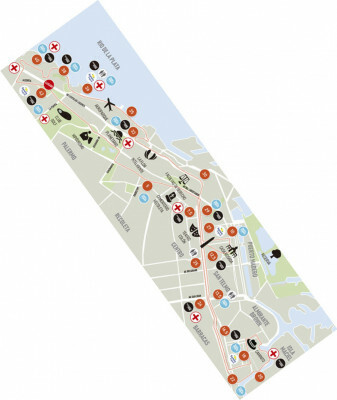 If we were the race organizers, we’d still definitely recheck the route to see if everything was run as planned between 25k and 35k, particularly since the course has changed a bit over the years. We wrote the race organizers about this and they quickly got back to us, saying they are confident the marathon was the correct 42.2 km distance but they are now looking to confirm that the individual km splits, particularly those from 25k to 35k, were accurately done. We’ll post an update when we get one. If we were WADA, we’d definitely start drug-testing Saina. If we were a non-Nike pro, we’d definitely consider racing our marathons in the Nike 4% shoes as yes, even an obscure Kenyan like Saina was wearing them. The shoes may give up to a 1% advantage. Even if that’s proven not to be the case, we’ve seen no evidence they make you slower. Why take the chance of getting beat by an inferior athlete? The sad thing is if the shoes give an advantage then Eliud Kipchoge’s most recent world record wasn’t nearly as impressive a run. And if we were looking for a marathon to run in 2019, we’d consider going to Buenos Aires. The entry fee for foreigners is just $80. MB: Saina Kipkemboi 2:05:20 debut! 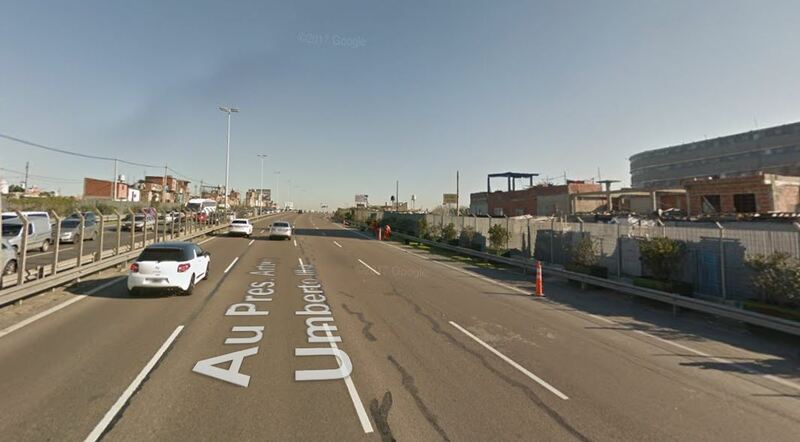 Running alone the last 17km, heat, humidity and hilly circuit in Buenos Aires! Buenos Aires wasn’t the only place where an all-comers record fell. South Africa’s Stephen Mokoka, 33, set a new South African all-comers record on a record-eligible course as he won the Sanlam Cape Town Marathon in 2:08:30, picking $33,600 in the process (R480,000). Mokoka varied from his normal script as for the last seven years, he’s run a fall marathon in Shanghai in November or December, finishing 1st or 2nd in six of those years. 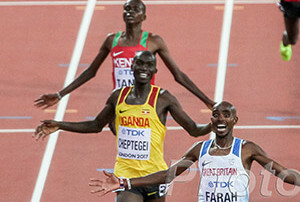 True distance aficionados may have realized that Uganda’s Joshua Cheptegei was AWOL all summer long. 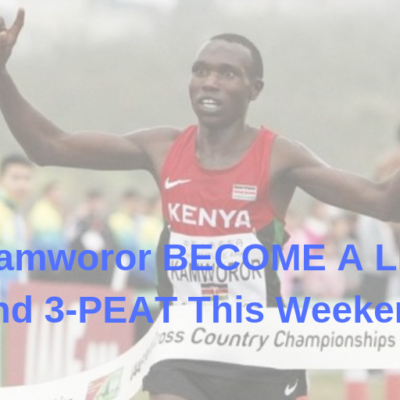 Cheptegei, 22, the 2014 world junior 10,000 champ who won silver at the 2017 senior Worlds last year after famously blowing up at World XC, hadn’t raced since April when he won double gold at the Commonwealth Games as a knee injury had sidelined him. He’s feeling better now and returned to action last week with a dominant 45:15 win at the Dam tot Damloop 10 miler in the Netherlands. “I am happy, also because I feel that my knee injury is improving a lot. 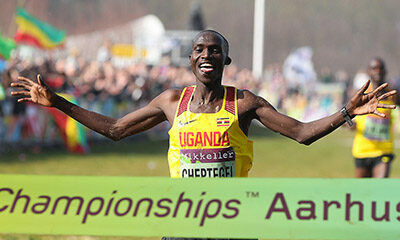 Hopefully you will see something better next year,” said Cheptegei after the race, according to the IAAF. 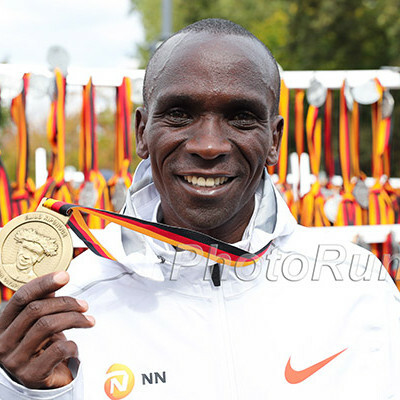 Cheptegei confirmed he’ll be going for gold at World XC in Denmark next year. 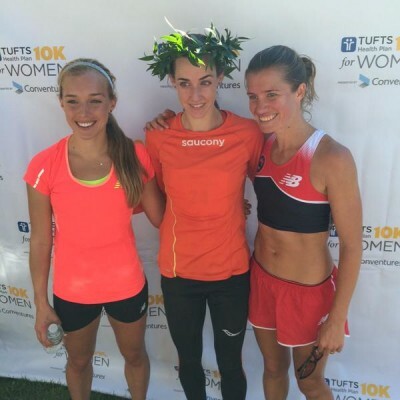 In the women’s race, European 10,000 champ Lonah Salpeter earned a one-second win in 50:45. When it comes to teen phenoms in women’s running, every season that they continue to excel is noteworthy as many times changes in their bodies prevent them from becoming world-class. So far so good on that front for Katelyn Tuohy, the 16-year-old US high school phenom from New York. Tuohy, the NXN champ last year, has started off the 2018 XC season in fine form as she DESTROYED the course record at the Ocean State Invitational at Goddard Park in Providence, RI, last weekend, running 16:06.87 for 5k. Some are saying 16:06.87 is the fastest time ever recorded in a 5k cross country race by a US high school woman. While one of our favorite mantras in the sport is “Don’t talk to us about times in cross country” as course conditions vary a lot (and sometimes even the distances, as every course isn’t necessarily measured accurately), we will say this about Tuohy’s performance: it was INCREDIBLY good. Had she run that time in the boys’ championships race, she would have finished second overall, finishing just ahead of two high school seniors who have pretty good credentials — one has run a 3:54 1500 and the other has run 9:22 for 3200. It will be interesting to see what Tuohy does the rest of the season, but we want to give out some huge props to her coach Brian Diglio. Given how incredible her XC season was last year, Diglio knew there would be a lot of pressure on Tuohy this year so he came up with a genius plan to avoid that as much as possible. He’s having Tuohy run a totally different set of meets than last year so it will be impossible for her to compare times. The problem with Diglio’s plan is there is a site that we love called Tully Runners that creates a speed rating for HS XC performances so that one can compare XC performances on different courses. Bill Meylan of Tullyrunners.com has determined Tuohy’s performance at Ocean State was worth a 176 speed rating — which is the 3rd-best speed rating in women’s high school history. We certainly hope Tuohy competes at the Foot Locker individual championships this year, where she could finally race head-to-head against two-time defending FL champ Claudia Lane. The problem for Tuohy is the Foot Locker regional meet and NXN regional meet are on the same weekend, so it’s impossible to qualify for both. Last year we saw an Instagram live broadcast by Tuohy where she said she wanted to do Foot Locker’s this year so there is hope. We have a simple solution: Foot Locker should offer a wild card for the NXN individual champs (or go to nine qualifiers per region and offer a wild card to the top four NXN finishers who haven’t already made FL). Last week, there was outrage in the anti-doping community as the World Anti-Doping Agency (WADA) decided to reinstate Russia’s anti-doping agency RUSADA even though RUSADA still hadn’t met two of the conditions that WADA had initially said RUSADA must meet to be reinstated. RUSADA still hasn’t admitted that 1) state-sponsored doping occurred (instead The Guardian reports “a compromise was agreed that allowed Russia to accept that ‘failings’ were made by some figures in the ministry of sport”) nor has 2) RUSADA given WADA access to its Moscow lab (instead they said they’d give them access to the data in the lab). Sayers wasn’t the only one truly pissed off as the heads of both the US and UK anti-doping agencies expressed their disapproval. USADA head Travis Tygart said WADA needs a complete overhaul as half of its funding and control comes from the IOC, which seems to really like Russia as Russia is a huge supporter of the Olympics. It’s worth noting that just because RUSADA has been reinstated, it doesn’t mean that the IAAF has to let Russia back into track and field. The IAAF has its own set of demands to be met before it readmits the Russian athletics federation. *BBC: What Now For Sport After WADA Decision? We didn’t do a WTW recap the week after the Diamond League finals so we saved this stat until now. If American record holder Bernard Lagat (12:53.60 pb) was Ethiopian, he wouldn’t even be in their top 10 all-time; 11 Ethiopians have run faster (including three in Brussels alone). In case you are wondering, a total of 24 Ethiopians have broken 13:00. And while Kenya has been horrific in the 5,000 in recent years, it remains still the all-time leader in sub-13:00 performers as a staggering 44 Kenyans have done it. One thing that is underreported about Kenya is how their depth dwarfs that of Ethiopia, which is very impressive considering Ethiopia has more than twice the population of Kenya (102.4 million vs. 48.5 million). For weeks, the LRC messageboard has been full of posts by an insider who said both Jordan Hasay and Amy Cragg would pull out of the 2018 Bank of America Chicago Marathon. Well, last week Hasay pulled out and this week, Cragg followed suit. MB: Have Cragg and Hasay scratched from Chicago yet? -Chinese 200m record-holder Xie Zhenye talking to the IAAF about how the Chinese 4×100 relay team was able to shock the world and earn silver at the 2015 World Champs. Imagine if the US’s 4×100 teams actually consistently practiced together. The 2020 US Olympic 4×100 team could be selected at the 2019 USATF Champs. If injury resulted in someone needing to be replaced, so be it. But getting people to practice together is more important than getting the four fastest people on the team. If you want to give yourself an out, say the top three finishers at the 2019 USAs will be on the team with the fourth spot to be determined in 2020. If you raced in a cross country meet and were beaten by another team, would you then take a picture with a trophy and with your finger up in the air saying you are #1? 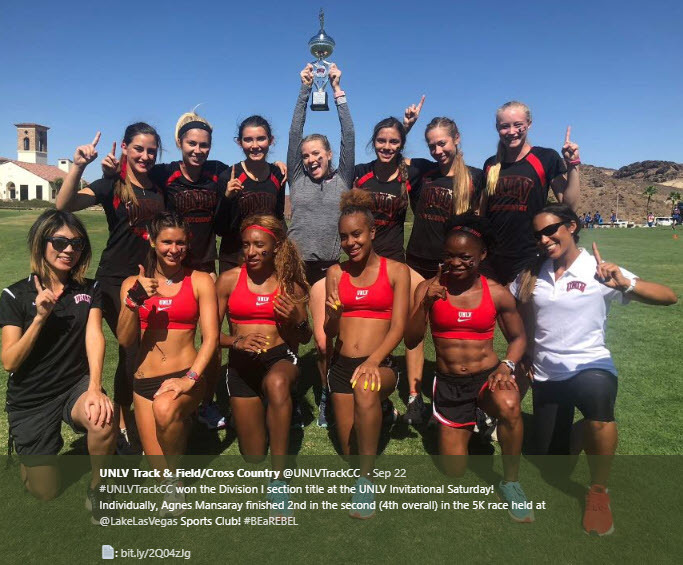 We wouldn’t, but that’s what the UNLV women’s cross country team did after they were beat by D2 Alaska Anchorage at their home invite. Jenn Suhr Talks About How She Got Her Start In Pole Vaulting When Her Now Coach And Husband Rick Recruited Her From Basketball Suhr also talks about her early career when Rick had remortgage his house and she had to work at a gas station making pizzas and cleaning toilets to make ends meet. To see our favorite reads from other weeks, go here. If you missed our top 10 NCAA XC countdown, catch up now as we’ve got some good insight from many of the top coaches in the land.